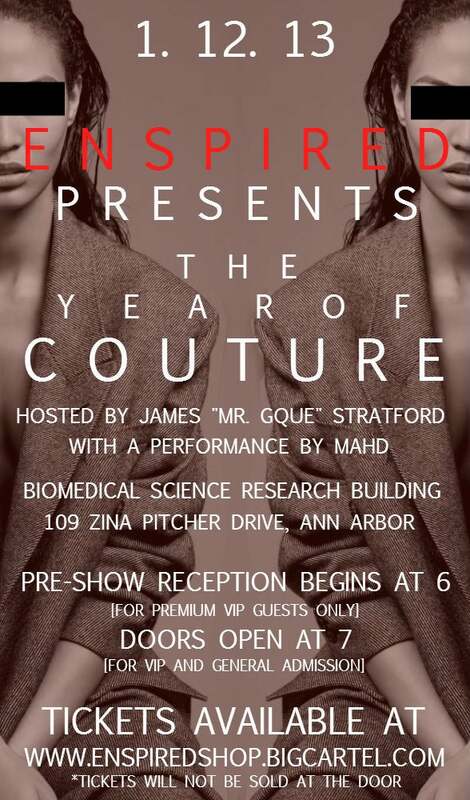 This is the general admission ticket to EnspiRed's "The Year of Couture" fashion show. Please bring a printed confirmation of your ticket purchase that will be emailed to you . *There will be no tickets sold at the door.